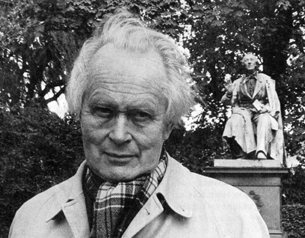 Piet Hein was a Danish scientist, mathematician, inventor, designer, author, and poet, often writing under the Old Norse pseudonym "Kumbel" meaning "tombstone". His short poems, known as gruks or grooks (Danish: Gruk), first started to appear in the daily newspaper "Politiken" shortly after the Nazi Occupation in April 1940 under the pseudonym "Kumbel Kumbell." Art is the solution to problems which cannot be formulated clearly before they have been solved.